Hypnotherapy can give you freedom from habits, fears, stress and anxiety. Free yourself from subconscious restraints. Give up the habit of smoking easily with Hypnotherapy and save yourself lots of money and have a healthier life style. Find your inner strength and motivation to achieve success in many areas of your life. Losing weight and keeping in shape is easier if you have the assistance of your subconscious mind. Hypnotherapy can assist in combination with a healthy weight loss program. Control fears or phobias and free yourself by using hypnotherapy. After only a few sessions you should find yourself less fearful of things that used to terrify you. Enhance your sports performance on a subconscious level. Let your mind do most of the work, gain control and focus for optimum sport results! 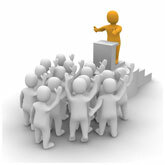 One of the most common fears is that of Public Speaking. With hypnotherapy you can release this, feeling confident and relaxed in front of any audience. I was a heavy smoker for thirty five years. I tried everything to stop. After two sessions, I am now a non-smoker & much more positive about myself. 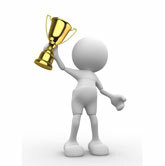 Chris G.
Please sign up for our monthly Hypnosis newsletter and we will keep you informed of news and special offers.